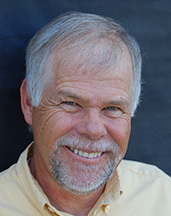 Gary Hogg is the author of more than twenty books. His hilarious stories include Hair in the Air, I Heard of a Nerd Bird, The Fantastic Dragon Catcher, Welcome to Zombie School, and Help! My Dad is the Lunch Lady. Gary says his fourth grade teacher inspired him to put his wild ideas into stories instead of acting them out in class. She kept her sanity and he became a writer. Gary’s sense of humor and great storytelling ability makes him a popular speaker. He has presented at more than 3,000 schools and conferences inspiring millions to discover their own author’s voice. Gary lives in Huntsville, Utah.